This example demonstrates how to create a callout with multiple rows while selecting the object using ISelectionMgr::CreateCallout2 SOLIDWORKS API method. 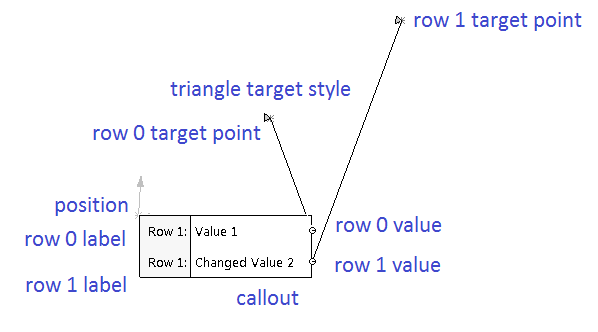 First row of the displayed callout is not editable (read only). Value of second row can be changed. The changed value will be displayed in the message box.